This year’s Super Bowl was decidedly underwhelming; it was low scoring, had a predictable outcome and living in the host city was a logistical nightmare. Usually, viewers can at least count on the commercials to incite a chuckle. Advertisers spend millions for one minute, and they usually make every second count. This year, many failed in the humor department, but were still enjoyable in other ways, while others were just plain bad. The best ads of the year came from a variety of sources and fit into several different categories. Many commercials this year went for a more serious tone. One that stood out in this group was the Washington Post’s ad, “Democracy Dies in Darkness.” Narrated by Tom Hanks, the commercial is a tribute to journalists who put everything on the line to inform the general population. It highlights the importance of freedom of press, and mourns deceased journalists, including Jamal Khashoggi. In an age of thought bubbles and fake news, this ad was poignant and timely. Google Translate took the route of trying to inspire its customers, debuting an ad that tugged on heartstrings with “100 Billion Words.” In an increasingly global world, 100 billion words are translated each day, and this ad features some of the interactions all over the world that require translation. This commercial managed to make a world of 7 billion seem a little more accessible and a little more unified. The best celebrity cameo in a commercial came from Burger King’s “Eat Like Andy.” In a world of 4K Ultra HD content, anything but crystal clear television is immediately jarring. So when Andy Warhol’s unmistakable platinum head appeared on screen, fuzzy and straight out of the 70s, Burger King hit a home run. Warhol eating a plain Whopper with ketchup on the side is hard to forget, and its simplicity stands out in the decadence and in-your-face nature of all the other ads. #eatlikeandy was a success. The best received ad of the evening came from the game’s broadcaster itself. When the words “CBS is off the air” appeared on screen Sunday night, panic and confusion set in. Then a deserted Mercedes Benz Stadium and a suited Jordan Peele appeared on screen. The confusion was still there, but now the panic was gone. Finally, it was revealed “The Twilight Zone” was being rebooted in 2019. As the director of “Get Out,” Peele was the perfect way to announce this nostalgic hit’s return to the small screen. Super Bowl commercials are supposed to take it to another level and introduce something new to the game of advertising. While many of the commercials this year were so-so, a collaboration between Bud Light and HBO hit it out of the park. What started out as yet another Bud Light Knight commercial ended in flames with one of the dragons from “Game of Thrones” flying across the screen. On the other side of the advertising spectrum, there were plenty of ads of different types that missed the mark this year. Turkish Airlines’ commercial was clearly supposed to be a play on an international spy movie, and was even directed by Ridley Scott (“The Martian,” “Blade Runner”). Instead, it was just a 30 second muddled confused mess full of jump cuts. At the end viewers were invited to go online and watch the rest of the short film. It is unclear what the rest of the commercial was about, or if anyone plans to try and find out. While the Turkish Airlines ad is confusing and unclear, it at least avoids making its viewers feel uncomfortable. That’s more than can be said of TurboTax’s commercial, which featured a weird baby android with a silicone face that falls at the very bottom of the uncanny valley. The commercial is short and to the point — TurboTax now offers human representatives, and robots could never keep up. While it gets the message across, the robot child is grating, unfunny and uncomfortable. Most commercials aim to entertain their audiences through humor or drama or visuals, but there are always some that manage to just be downright boring. T-mobile aired a commercial every quarter. They were memorable too, which is not always a good thing. Each commercial was essentially a screen recording of typical text-conversations. And at the end of each commercial there was an exorbitant offer for anyone willing to switch to T-mobile, like free Taco Bell for a year. The offers were pretty good, but the commercials brought a full stop to the excitement of the Super Bowl. 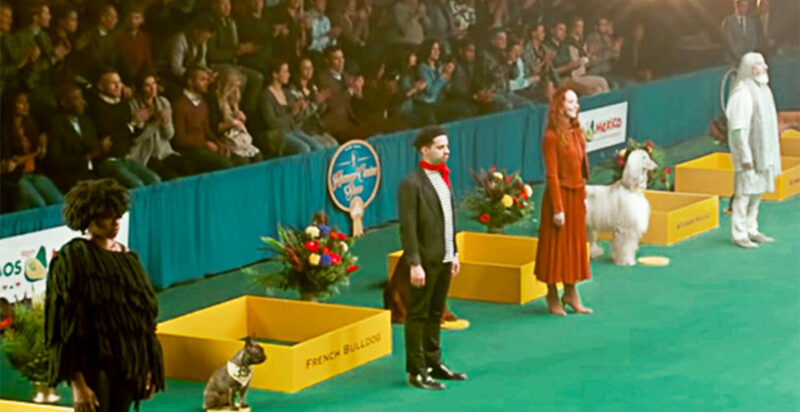 A dog-show-style competition between humans is a strange premise to start off with, even for a company that specializes in pet goods. This commercial was not even for dog food or cat toys, but for avocados. The whole advertisement was strange, as watching humans run around an obstacle course meant for dogs was more uncomfortable than funny. The duration of the commercial was spent trying to figure out just how this spectacle was in any way related to avocados.